Construction works have commenced on Carrigaline Post Primary School. 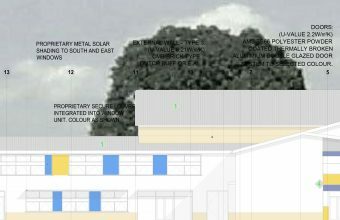 This project consists of the construction of a new school building comprising of a two Storey, 600 pupil, Post Primary school building with physical education hall, support teaching spaces and ancillary accommodation, with a total floor area of 8,660 sq. 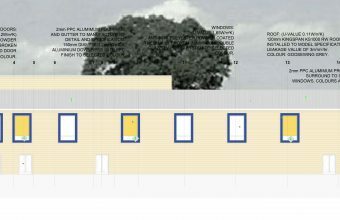 m.
The site works to the school grounds will consist of the provision of 160 no. cycle storage spaces, bin store, ball courts, secure special play area, 1 No. 50m sq. external material storage building for wood and metal work studies with associated covered work area, landscaping, 1 No. 18m sq. ESB Substation and boundary treatment and all other associated site development works. The Board Chairman, Mr. Padraig Barrett, said “The school will start off with first-year students, and will build up to sixth year, so it will be 2022 by the time it will have a Leaving Certificate class. The board is very excited about the new school and the opportunity to deliver an additional second level option within the Carrigaline community. Under the patronage of the Edmund Rice Schools Trust we are committed to providing a secondary school which promotes Catholic values and excellence in Carrigaline based on partnership with local parents and the community”. The website was launched by locally-based Minister Simon Coveney who welcomed plans being at an advanced stage. Minister Simon Coveney said “Carrigaline is an area with a large young population which has grown significantly in the last decade. The population increase must be matched by an increase in infrastructure, in particular, infrastructure for our young people. Since becoming minister, I been working to ensure that we have education recourses to match this growth year on year in Carrigaline. 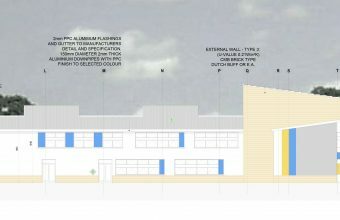 Along with extensions to existing schools in the area, the new school is making Carrigaline a key educational hub in the south of the city area. This project is due to complete in February 2017.